The wonderful team at Universal Orlando Resort invited me to experience the ultimate vacation destination firsthand. I was thrilled to kid-test the parks, hotels and even CityWalk courtesy of the resort. Some people might miss the fact that Universal is actually a full-on resort that features on-site hotels, dining and entertainment. A two-part theme park featuring Islands of Adventure and Universal Studios is just the tip of the vacation-iceberg. You can catch shows like The Blue Man group (a full review of that kid-friendly show is coming soon! ), play a round of mini-golf on the most amazing course, eat in restaurants you can’t find anywhere else and wiggle your toes in some sand before slipping down a kid-friendly slide into a cool pool. 1. Don’t rush through anything. Plan for at least two days to explore the theme parks alone. To save time and money, purchase tickets online directly through Universal. Print them at home to avoid waiting in line and go straight to the turnstiles instead. If you get to the park and find you need more time, you can upgrade your tickets any time before closing in the park and still get a discounted multi-day rate, provided you didn’t buy them through a third-party. 2. Stay on-site. Save yourself parking fees (currently $17 for each full day of parking) and give yourself more time in the park. On-site guests get into the parks early and enjoy free shuttles. At Cabana Bay, the shuttles arrived every 10 minutes. 3.There are kid-friendly areas everywhere in the resort. Plan a tinier-tot adventure first. The mornings tend to be slower in the children’s area. Then plan to hit the bigger attractions during lunch hours for thinner crowds. 4. 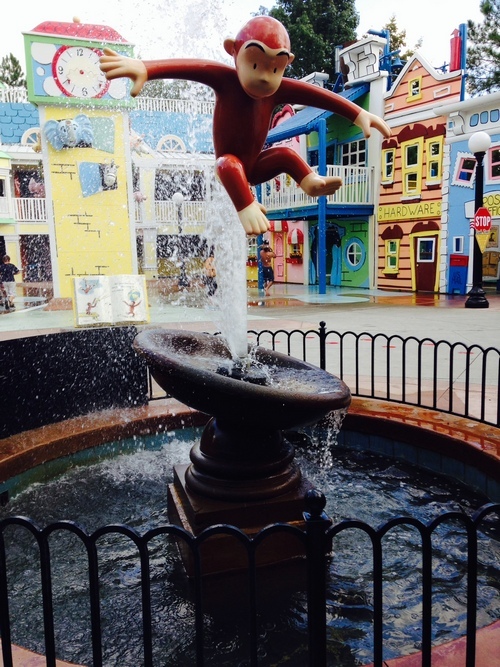 The Curious George area on the Studios side is full of cooling water fun. Save this area for the end of your day or pack a change of dry clothes. 5. Sneak in a nap/quiet time. Fill up your toddler or baby’s belly at the Three Broomsticks and then seek solace on the back patio. Find the doors in the back of The Hogs Head pub or keep walking down the alley past the bathrooms to find it. It has an amazing view of Hogwarts, tables and chairs with shade and it is the quietest place I have found in the parks. 6. 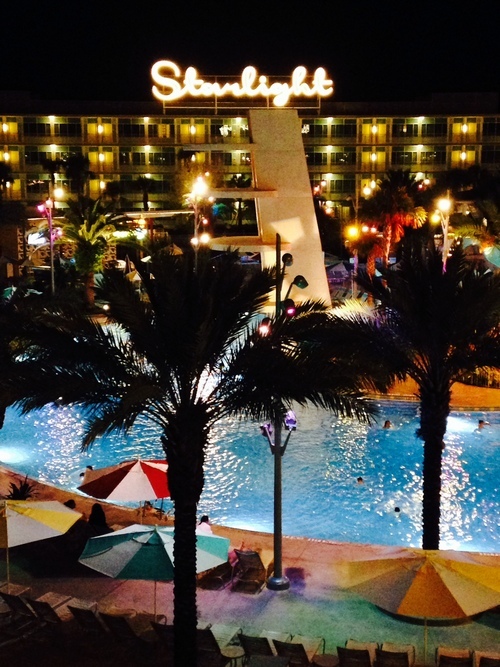 If you choose to stay on-site, try the Cabana Bay Beach Resort. It is a quirky retro-theme resort that has so much to do, you won’t need to leave the hotel…except to head to the theme park. The little ones can build sand castles, the tweens can go bowling, and everyone can enjoy a movie by the pool at night. Even better, when you are shopping in the parks, definitely take advantage of the complimentary package delivery. They can have purchases you make in the park delivered to your hotel lobby for pickup within 24-hours! No lugging bags around! 7. Cabana Bay is also toddler-friendly. Hit up the zero-entry side of the pool or enjoy the splashy area that has fun sprinklers. One drawback is the lazy river – it’s awesome, but the resort makes you pay to rent tubes to float around, so bring some cash or buy your own. 8. Ask a Universal employee when times for Marvel character Meet-and-Greets are. When I arrived, they were hourly. The road in front Doctor Doom’s Fear Fall is cleared and the heroes zoom in on motorbikes, quickly dispersing throughout the area for photos and autographs. Keep an eye on the character you want to meet and follow them. 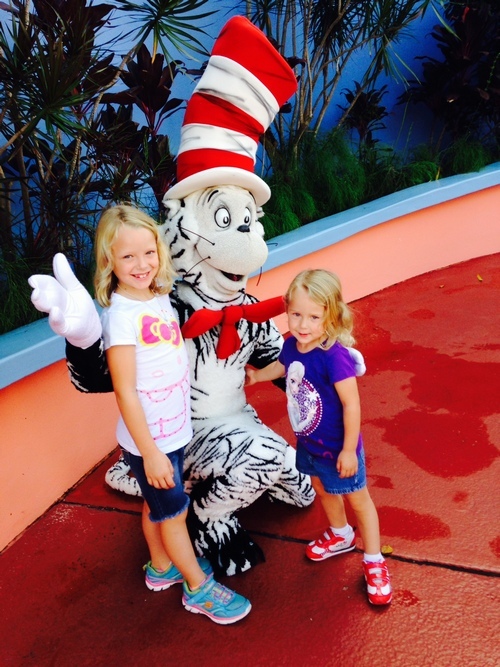 The Dr. Seuss area also had schedule Story Times and opportunities to meet characters. 9. In Carkitt Market on the Diagon Alley side of the Wizarding World of Harry Potter, there is an amazing puppet show that depicts the ‘Tale of the Three Brothers’. Even if you aren’t a Potter-Head, you will enjoy this show along with Celestina Warbeck’s mini-concert. Times for these shows vary, so ask about them first thing in the morning. In Hogsmeade on the Island of Adventure side, don’t miss the Tri-Wizard Spirit Rally. The lovely ladies from Beauxbaton and the super-strong men from Durmstrang put on quite a show that will please everyone. 12. Both parks have family restrooms. If you are need, ask the nearest employee where you can find one. 13. For a family, those Universal Dining Plans can save you a bundle! FYI – Gilly Water counts a beverage, but the rest of the new drinks in Diagon Alley count as a snack. 14. Normally, vacation package prices can be beaten. But staying at an onsite Universal hotel and booking a package could save you money and more importantly – time. With privileges like a breakfast at the Three Broomsticks, early admission and even a souvenir, they make it worth every penny. 15. Make sure you know the park hours. They can vary from day-to-day, especially during holidays. The parks tend to closer earlier when events like Hollywood Horror nights are taking place. Moreover, one side tends to close earlier than the other, so make sure make the most out of your Park-To-Park ticket and hit every attraction on the side that closers earlier, first. 16. Popular rides with lengthy waits will stop allowing additions to the line as earlier as 1 hour before the park is due to close. Make sure you are in line before the line cutoff time.